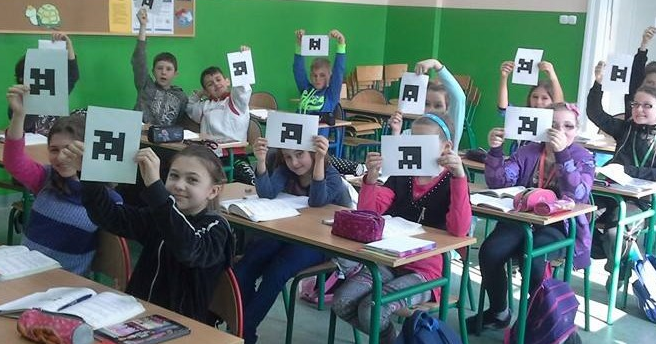 Plickers - Clickers without the need for clickers! This is a great app for taking polls, voting and giving your opinion with the added bonus that students don't need a mobile device. The teacher simply prints out the 'Plicker' cards and students hold them up in one of four positions in order to cast their vote. The letter of their vote needs to be at the top. There are 4 choices, A, B, C or D. The only device needed is one for the teacher in order to scan the cards and collect the data. The Plicker cards are quickly scanned and the results can be seen on line in seconds. This is particularly handy as many schools still don't agree with the BYOD idea and in many schools, mobiles and tablets in the classroom are still not allowed. 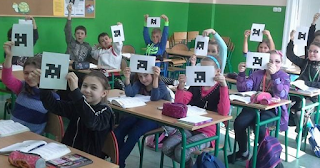 Plickers is being used for pre-assessment and assessment but you can also use them to GAMIFY your classroom. How you use them is up to you and your own imagination! See the following video which sums up the app in a nutshell. Riddle is a great tool for creating polls, riddles and lists. Very easy to use and with some imagination, students could create some great content for their classmates to comment or vote on. 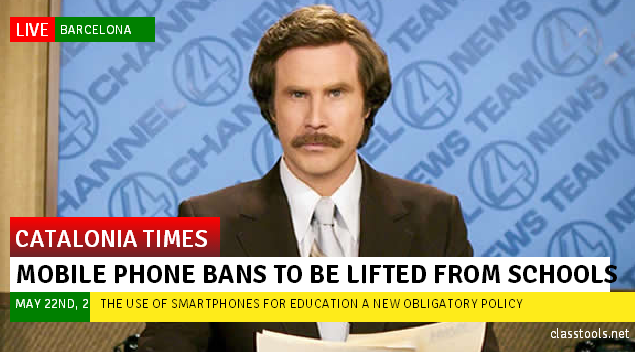 Easy to use and easily shareable. I'm sure a lot of you have heard of Scratch, which is a programming language which teaches kids how to code in order to make their own interactive games or stories. 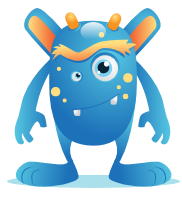 I just came across CODE-MONSTER which has the same purpose of teaching code language to kids but is much more basic. Kids carry out very simple tasks in order to get an idea of how coding works. The results are instant. Every task carries out some type of visual action that can actually be seen on the screen. I think this tool could be very motivating for those students who are interested in game designing, web page creation, etc. because of its simplicity. Have a look and try it out yourselves! Infographics are a great way to present grammar, punctuation or common spelling mistakes to your students. Not only are they good for students but also for many of us native speakers who often make the same common mistakes! How many of us have misspelt 'there' or 'their', 'meet' or 'meat', 'who's or whose'? Present it on an infograph and get your students to create others. A great visual way for it to finally stick in your students' mind....and in yours!